As difficult as it is to imagine how folks learn to live with violent death, it is as hard to imagine the work they do in memory of their loved ones. The creativity and hard work that comes from such endeavors. An important aspect of both of my work is to note on what folks do in the aftermath to honor their loved ones and do something to improve the world. On March 27, 1993 two best friends, 9 year old Jonathan and 13 year old Charlie, left home for a bike ride on a beautiful March morning and never returned. Their ride was cut short when a sexual predator murdered them both. For 8 years their case was left unsolved. In 2001, the murderer was finally found through a DNA database. In April 2004, a jury voted unanimously for the death penalty. On September 1, 2004, a California judge sentenced the murderer to death row at San Quentin State Prison where he currently resides. The mission of the foundation is to promote the safety and well-being of children through education and to support families who have lost loved ones at the hands of another. A new book is a latest project of this busy Foundation. 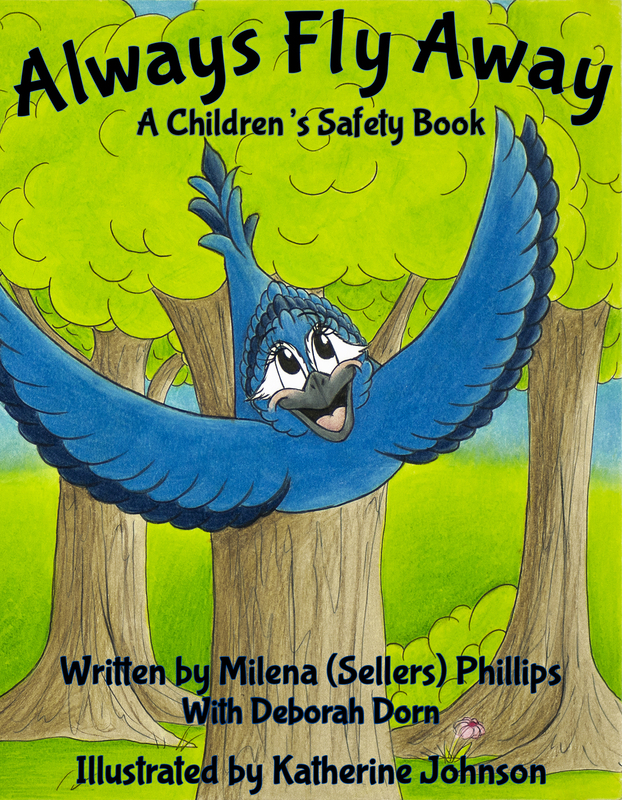 Always Fly Away is written in rhyming verse and tells the story from the perspective of a young bird named Stella. She leaves home to meet a friend by the creek, and there she is greeted by a kind-looking cat. The cat seems gentle and asks for Stella’s help, but Stella remembers the advice her mother gives her every time she goes out, “Stella remember, Keep your distance from strangers, stays alert, and when you don’t know what to do Away Fly Away.” This saves her life when the cat shows his true intentions as he tries to grab her, claws now extended. With this story Milena is able to bring Stella home safely—a wish she has for every child.